Authorities Monday released the name of a man killed over the Thanksgiving holiday weekend in a predawn crash on a rural North County road. 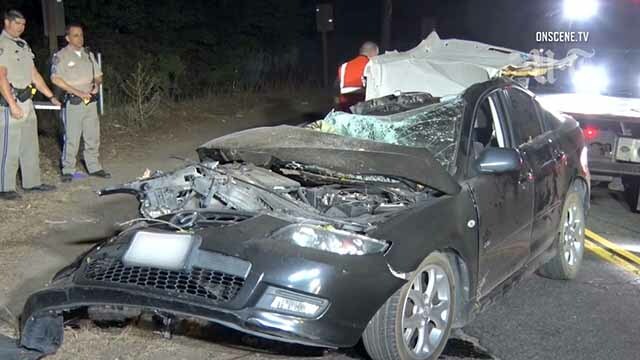 Juan Andres Ramirez, 33, was riding in a Mazda sedan that veered off North Broadway in unincorporated Escondido and struck a tree near Paso del Norte about 2:30 a.m. Friday, according to the county Medical Examiner’s Office and California Highway Patrol. A short time later, another motorist happened on the aftermath of the accident and saw the driver of the Mazda climbing out of the damaged car, the CHP reported. Apparently unaware that a second person was in the wreckage, the witness pulled over, picked up the injured man and took him to Palomar Medical Center. Emergency personnel later discovered the mortally injured passenger inside the crumpled Mazda. Ramirez, an Escondido resident, died at the accident scene. The name of the driver who crashed the car has not been released.